I love to draw .... Mostly create characters. I like to draw Furries and ponies, regardless of its content. I am a Brazilian popular on Tumblr, by creating adult content with the theme My little pony using my ocs and ponies of my best friends. I began to draw to the internet with my furrys characters .... and soon started to grow making arts brony / NSFW. 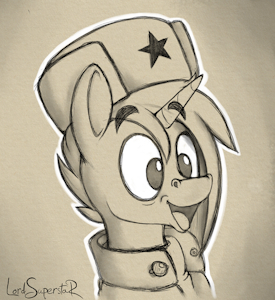 and will soon be returning to draw furrys and continue drawing my beloved ponies. It was a bit confusing, not !? I do not have so many abilities with the English, my native language is Portuguese / Brazilian. sometimes committed many errors in spellings in English .... but I will strive a lot to show all my contents. Very nice stuff ^,,^! ;) hope to see more Changelings and FLuttershy pics ^^ hehe keep the good stuff coming :) ! Same for you. You are way better in coloring than i am.